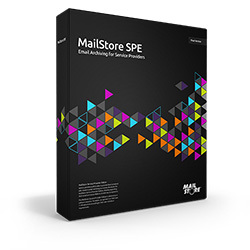 The MailStore Service Provider Edition (SPE) has turned out to be quite a success story since its 2014 market launch. With help from the cloud solution MailStore SPE, IT service providers and system houses offer their customers modern email archiving as Software-as-a-Service (SaaS) and extend their service portfolios with the most important components of legally compliant email archiving. When the results of the Cloud-Monitor 2015 report were presented, Achim Berg, the Vice President of the German IT-association BITKOM, stated: “Cloud computing has become one of the central technologies of the digital world.” The study’s results for Germany verify that cloud computing is gradually becoming a reality: 52 percent of medium sized enterprises with 100 to 499 employees are already leveraging cloud technologies. 41 percent of smaller enterprises, with 20 to 99 employees, also rely on cloud technology. We, too, can both confirm this trend and benefit from it. We have determined that IT service providers are increasingly integrating managed services and SaaS offerings, including email archiving, into their portfolios. This is why we see the development of the MailStore SPE as very positive: Since the beginning of 2015, the customer base of service providers has risen by over 60 percent. This trend clearly supports expectations of further growth. For user licenses as well, we can look back on a successful year: We managed to more than double the number of users in 2015. The number of end users in enterprises employing the cloud variant of our archiving solution to archive their email with the legal security MailStore provides has seen consistent double-digit increases. The services offered by their IT service providers allow SMEs to benefit from all of the legal, economic, and technical advantages of this proven technology without having to provide their own hardware or invest time in setup and system maintenance. They are offered exactly the same range of features and flexibility they would receive by using the on-premise solution, MailStore Server.